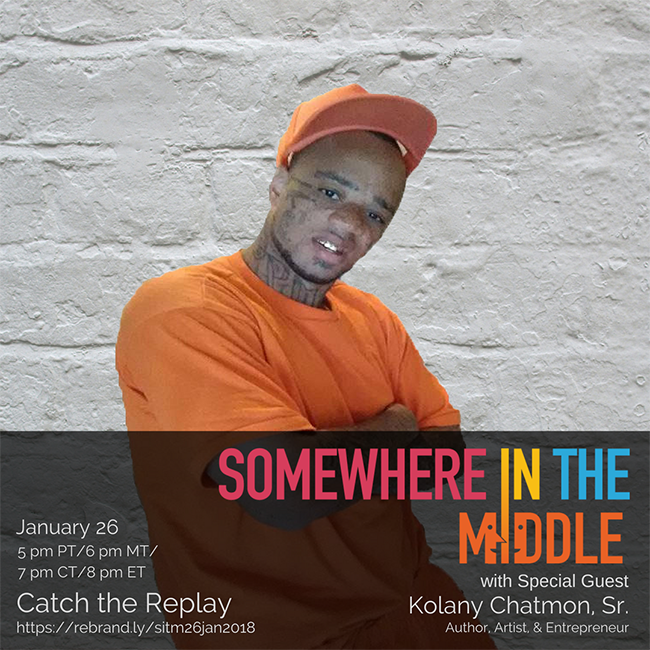 Somewhere in the Middle with Michele Barard and Special Guest Kolany Chatmon, Sr.
Kolany Chatmon Sr. is a native New Yorker who comes to us from Arizona by way of Omaha. He’s a writer, tattoo artist, and entrepreneur. He’s also the founder of the Billion Dollar Blueprint Movement. This interview was conducted by telephone about a month ago so unfortunately, we won’t be taking any calls today, but I think you’ll find what he shares with us interesting, entertaining, and enlightening.